One day in early 2017, Maya’s father disappeared. The twelve-year-old, still in the haze of sleep, heard him leaving for his construction job well before sunrise as always, but he did not return home that evening at his customary time. A day passed with no word, and then another. 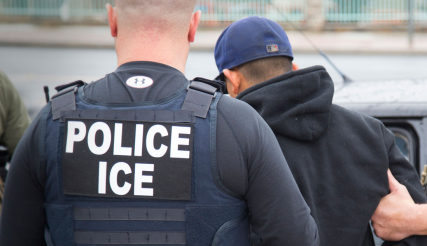 Finally, they learned that he had been detained by officers from U.S. Immigration and Customs Enforcement, but they still had no idea where he was or when they would see him again. After a week, he was released from detention with orders to appear before a judge at an undetermined time for a final ruling on deportation. Even though Maya’s father had returned home safely, his disappearance had affected her deeply, and she began showing symptoms of post-traumatic stress disorder (PTSD). For her, PTSD manifested as overwhelming fear, especially during the darkness of early morning – a powerful sense memory that Maya associated with his sudden disappearance. Maya began Trauma-focused Cognitive Behavioral Therapy (TF-CBT) at CCFH to address these fears and other symptoms of traumatic stress. Even as she began treatment, though, her therapist and her parents were aware that the deportation process in the months ahead might bring new traumas. Indeed, when her father received his court date in December, her symptoms worsened. She could not sleep. She could not keep food down from dizziness and nausea. She had panic attacks and was terrified to leave the house. When the court date arrived, the family’s attorney asked their CCFH therapist to testify on the impact that her father’s deportation would have on Maya. Using the standardized measures typically used in trauma assessment at CCFH, the therapist was able to demonstrate the high probability of significant harm to Maya’s mental health and well-being. The judge granted a stay of deportation with a path to citizenship, and the family’s attorney cited the therapist’s testimony as highly influential in the decision. Maya is still coping with a lot of anxiety as her family continues to live in fear and uncertainty about their future, and there may be more trauma ahead for her. For the moment, though, she remains in treatment at CCFH, and her trauma symptoms are diminishing.